Magical fairy and her cute Cavoodle companion! 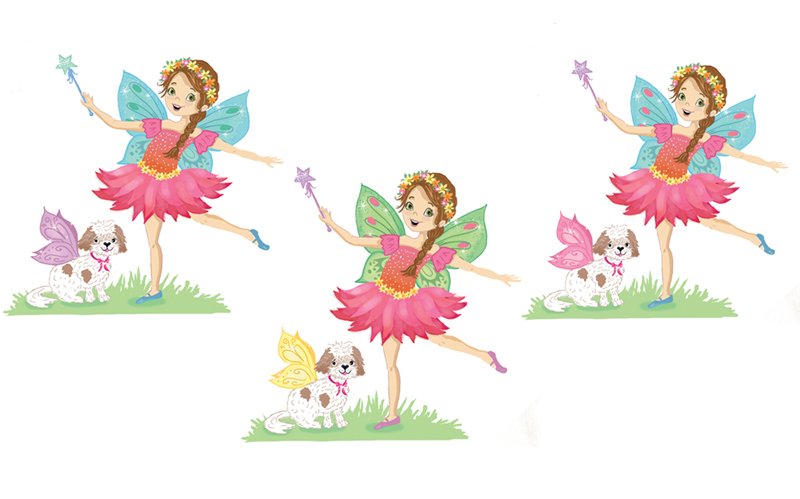 I thought I would share my process for creating a cute fairy and her little fairy friend. First sketches based on the creative direction I received. Revised sketch compilation of different elements. And then a few color comps to choose from. And ta da! The final art.... Looking pretty with her shimmery golden wings.